Child themes are used when you want to make changes to a site without actually changing the code or the files in your original theme. This lets you update your original theme (which is the engine behind the child theme) without losing any changes you made to your site. 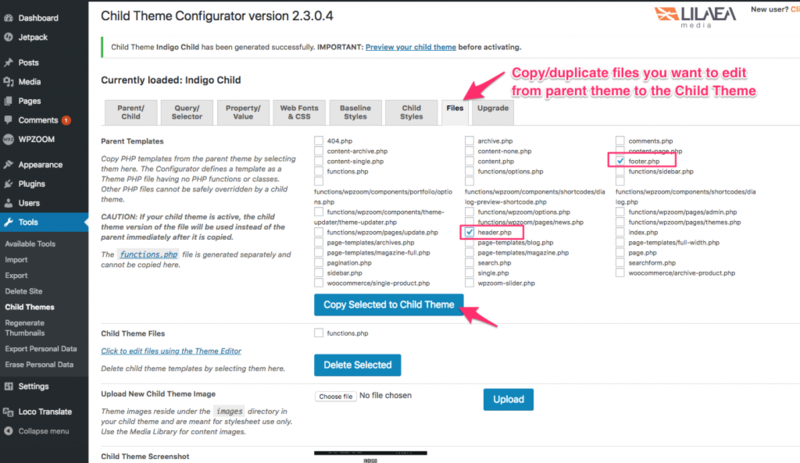 Even though using Child Themes is a recommended method to modify theme files, it’s your responsibility to keep it up-to-date and synced with the parent theme. A major update of the parent theme can easily break your website if you didn’t test your Child Theme against the new version on a local or staging environment before update. There are a number of plugins out there these days that will help you create a child theme. We’ve found the Child Theme Configurator plugin to work well. If you want to make just some small changes, like adding custom CSS code, we recommend to add it in the Customizer > Additional CSS. View instructions. Custom functions can also be added without creating a Child Theme by using the My Custom Functions plugin. 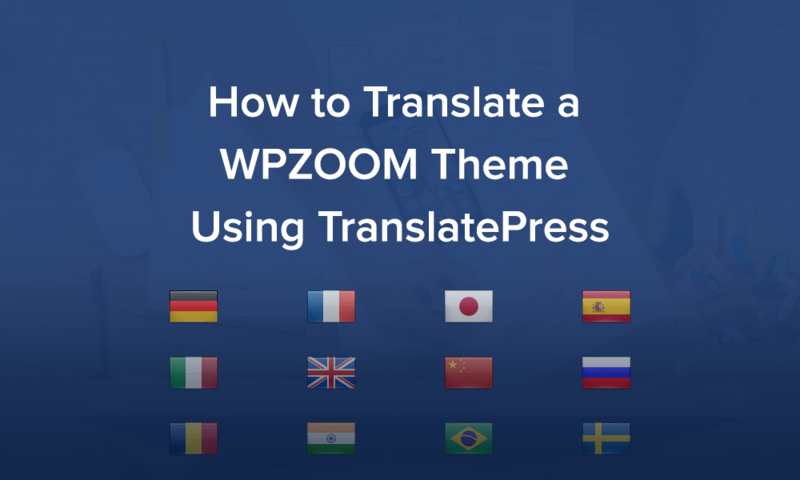 One of the most important reason of using Child Theme is that in this way you’ll be able to update your theme in the future without worrying that you’ll lose any of the modifications made in theme files. Using a Child Theme you can safely modify your parent theme as you want: edit header.php or footer.php files, add custom functions in the functions.php file, add new theme files or page templates that will override existing ones from the parent theme. If you are making extensive customizations – beyond styles and a few theme files – we highly recommend you to not update your parent theme anymore, as this can easily break your website if you don’t sync your Child Theme with the parent theme. 1. 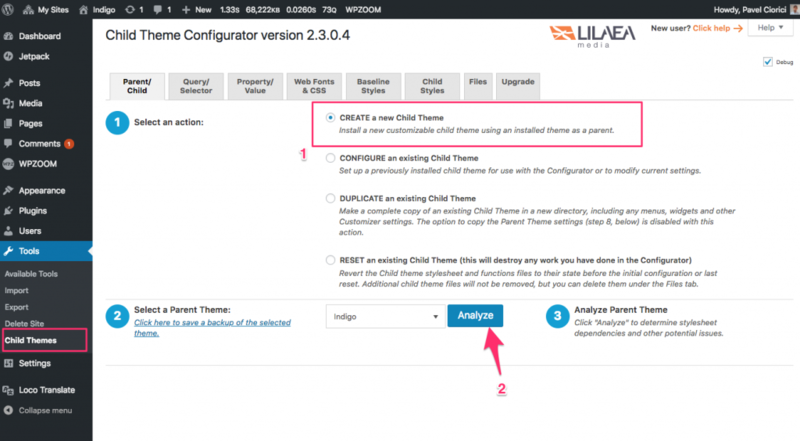 Install the Child Theme Configurator plugin and activate it. 2. Go to Tools → Child Themes menu and select the option to Create a New Child Theme. 4. 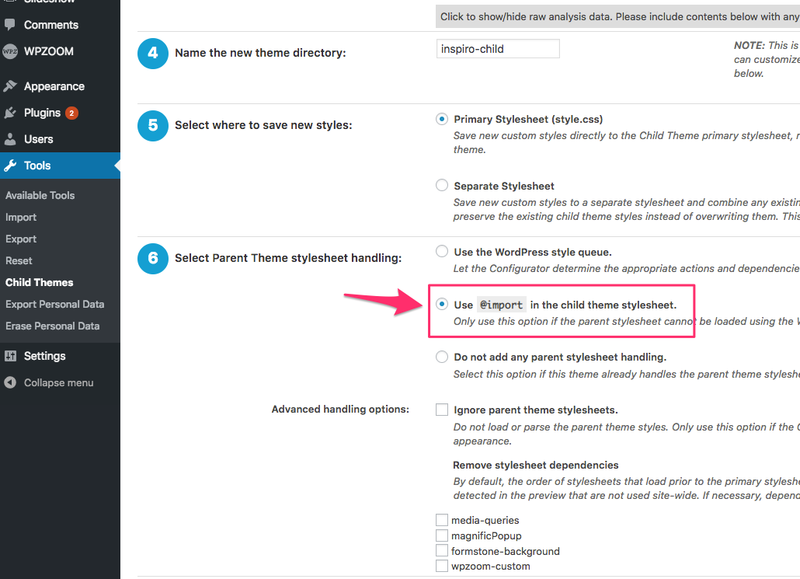 IMPORTANT: Scroll to 6th step “Select Parent Theme stylesheet handling” and choose the second option: Use @import in the child theme stylesheet. 5. Scroll down at step #8, and check that option. This is useful if you already made some configurations in your current theme (widgets, menus, changes in Customizer, etc. ), and you want to have these settings applied to the Child theme too. 6. Click on the Create New Child Theme button. 7. 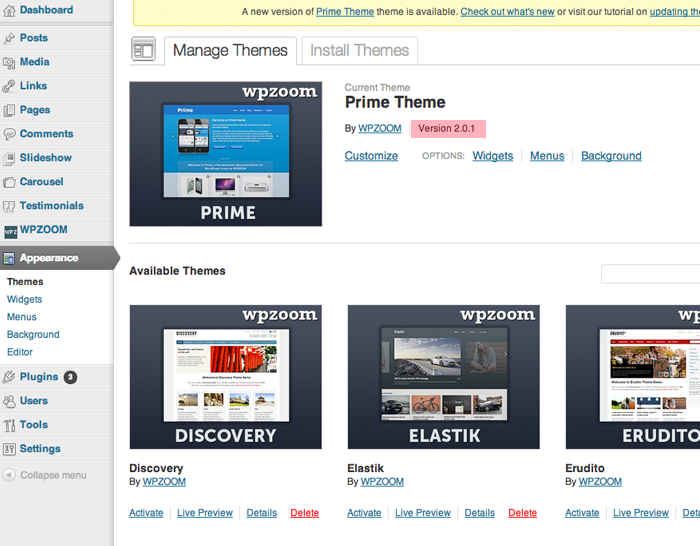 Now you can go back to the Themes pages and activate your new child theme. 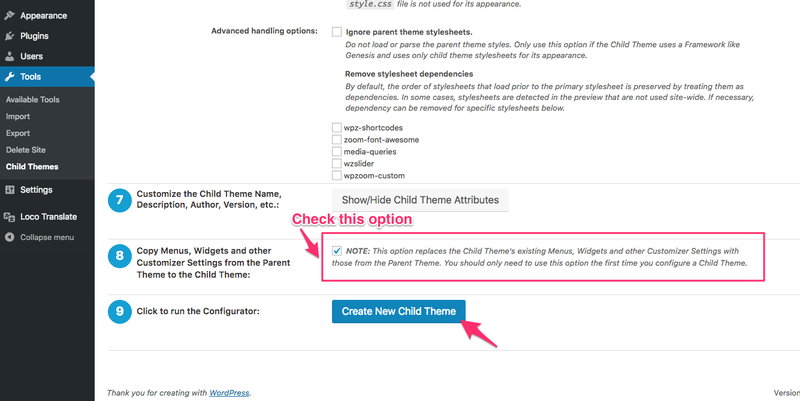 Changing functions or theme files from parent theme is easy using child themes. Once the files have been copied in the Child Theme, go to Appearance → Editor to edit them as you want. ⛔️ THEME LOOKS BROKEN AFTER ACTIVATING CHILD THEME? 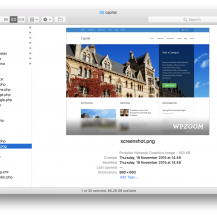 The file can be edited from page Appearance > Editor.